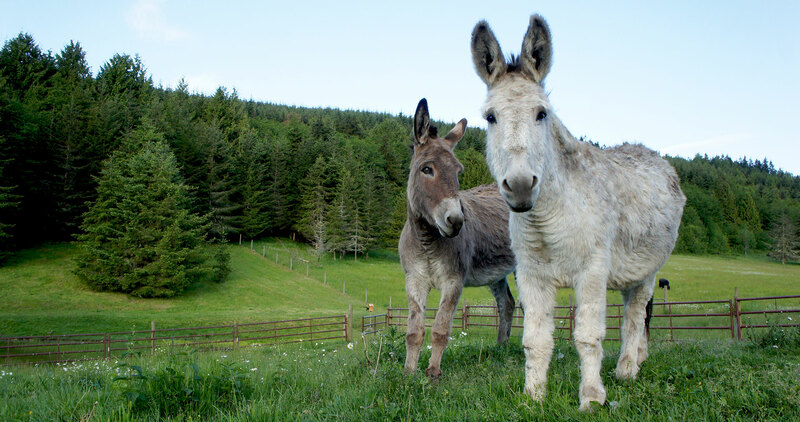 A man in a small town in Wyoming bought Margarita at a horse and burro auction because it would be neat to own some burros. He soon grew tired of her and planned to have her slaughtered and sell her body to a nearby fox and mink fur farm. 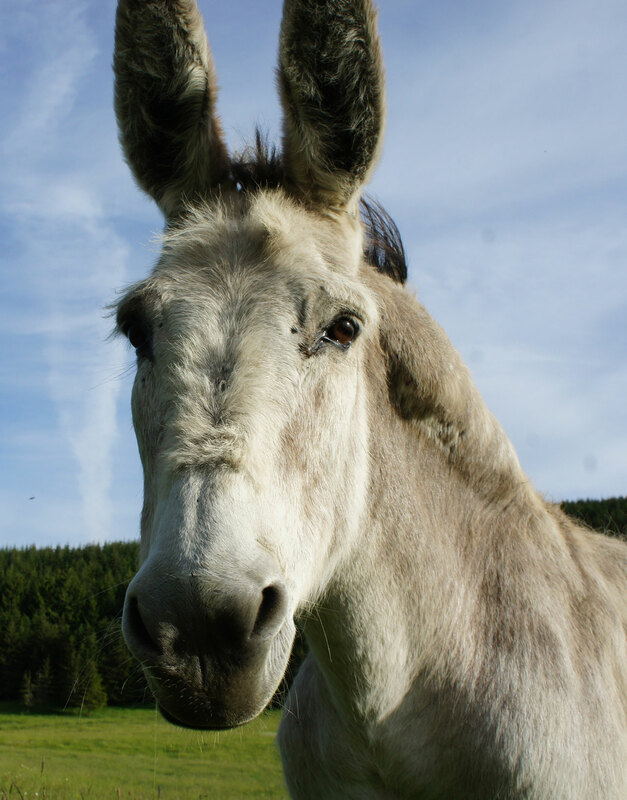 A local woman talked the man into giving her the burro and brought her to her home. She had no money and did not have enough room to properly care for her. Precious Life Animal Sanctuary agreed to pay the transportation costs to move her to a new home with them. Margarita arrived in very bad shape. She could barely walk and would stand in one place for hours, shirting her weight from one front foot to the other because of pain. She was extremely underweight and no one knew she was going to have a baby. She gave birth to a baby boy (Paco) in April 2006. She is very proud of him. Margarita has received extensive foot care and is able to walk with less pain. She is very gentle, loves to be petted and always worries she will not get enough to eat. We are trying to get her over that fear by supplying her with plenty of grain, apples and alfalfa.